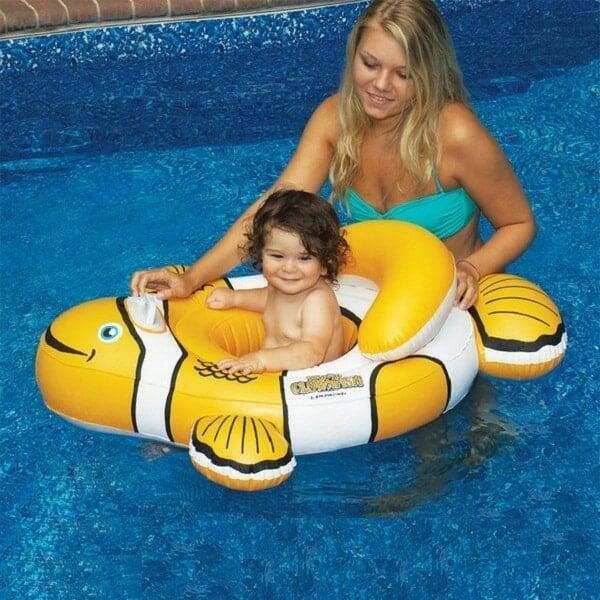 Teach Your Little Nemo The Fun Of Water - A Baby Float with a Clownfish Design! Teach your little Nemo the fun of water with the Baby Clownfish Baby Seat from Swimline and Family Leisure! Everyone loves a clownfish... especially kids! And this swimming pool inflatable features this loveable fish, made from heavy-duty vinyl that is strong and durable. Safety first! This baby seat offers a dual air chamber design, just an added safety feature for your little guppy!